According to the president of the Transportation Workers Union, Stacy Martin, “This policy was designed to make the lives of TSA staff easier, but not make flights safer.” Her comments come as a direct result of what TSA Administrator John Pistole said: “Frankly, I don’t want TSA agents to be delayed by these.” Clearly he believes the destructive weapons of choice have shifted, but I think when you take your eye off the ball, that’s when the other team scores. My two cents. Anyway, there’s more to this story than just that, and I don’t really want to debate it; that’s not my point here. I’m using this as an example for my topic, and I want to focus on those two statements in the previous paragraph – and the problem with inside-out thinking when it comes to customer experience. Inside-out thinking means your focus is on processes that are designed and implemented based on internal thinking and intuition. The customer’s needs and perspectives do not play a part in this type of thinking. You make decisions because you think it’s what’s best for the business. Outside-in thinking means that you look at your business from the customer’s perspective and subsequently design processes and make decisions based on what’s best for the customer and what meets the customer’s needs. You make decisions because you know it’s what’s best for your customers. When TSA is thinking about processes and policies that simplify things for their own good, without considering the impact on their customers, then that is inside-out thinking. This is a prime example, another quote from John Pistole: “The idea that we have to look for, to find, and then somehow resolve whatever that prohibited item is — that takes time and effort.” Yea, but that time and effort will hopefully save the lives of hundreds of people (your customers). Um, what about the other passengers? Aren’t they also stakeholders impacted by the policy? OK, so let’s just assume for the sake of this post that everything TSA decided was truly done without taking into consideration the customer perspective or the impact on the customer. … all of which translate to reduced costs and increased revenue. Now who can’t get on board with that? 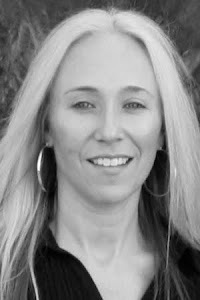 Annette Franz Gleneicki is a Client Services executive focused on improving both customer and employee experiences. Through her blog, CX Journey, Annette shares her passion for helping companies understand the importance of the employee experience and its role in delivering an exceptional customer experience, as well as how to transform their cultures to ensure the customer is at the center of every conversation.